Interested in working at Thaï Express? Let us know and we will notify you of upcoming, local job opportunities. 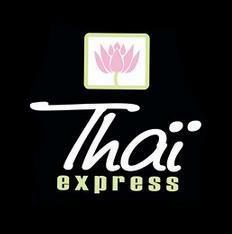 Thaï express is the leading Thai quick-service restaurant in North America. Our success is rooted in combining traditional Thai cuisine with new-world design and flavours. We strive for excellence and take great pride in the food that we prepare. It is our belief that great food can only be made from the finest and freshest ingredients. At Thaï Express we are committed to achieving superior customer satisfaction by providing a wide variety of inexpensive products in a trendy atmosphere with genuine and timely service. Our vision of success is to always exceed expectations by offering a tasteful variety of authentic Thai cuisine prepared and served by well-trained and motivated team members. The perfect ingredients for a memorable experience! Showing Thaï Express Jobs near your default location, Ashburn United States.